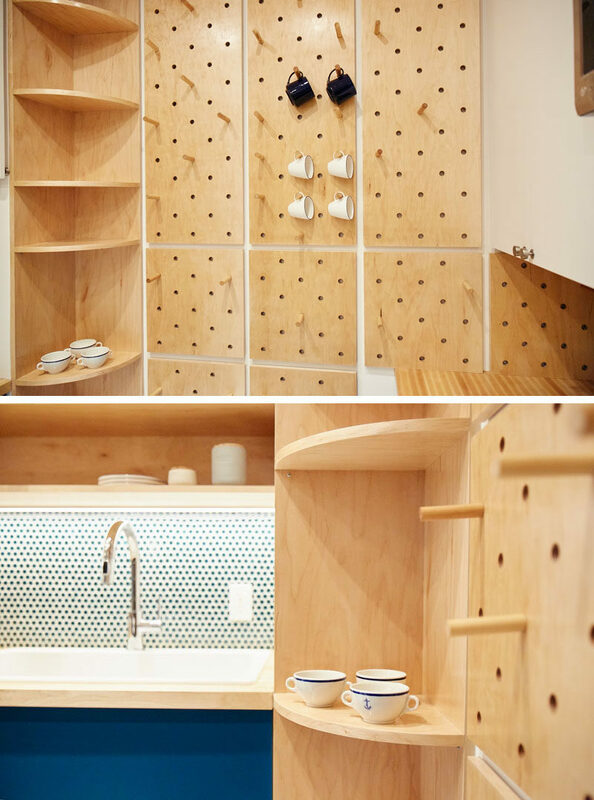 Brooklyn-based Handwerk Art and Design, have designed the remodel of this kitchen in an apartment in New York. 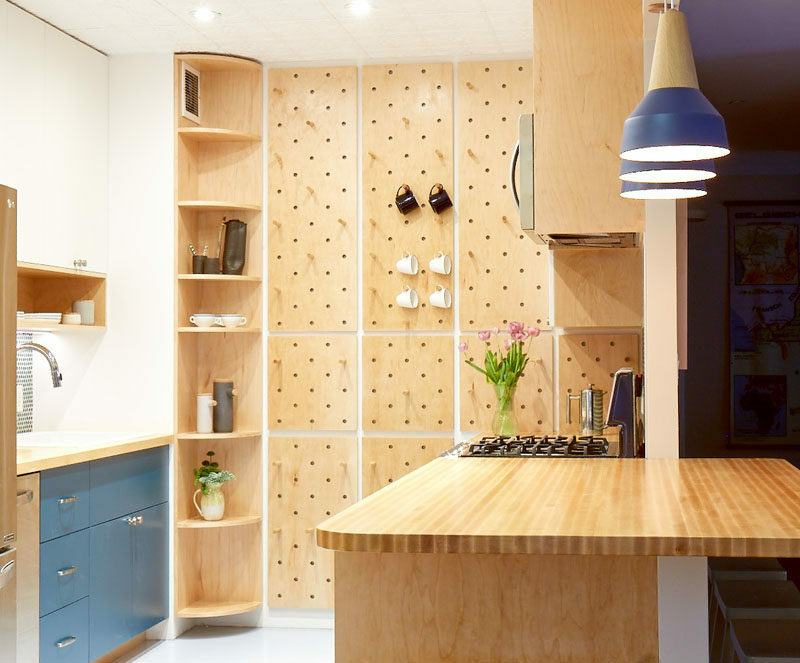 The designers starting with a study of their cooking habits and spatial needs, and then they designed a set of custom cabinets for the whole kitchen that placed everything specifically and precisely. 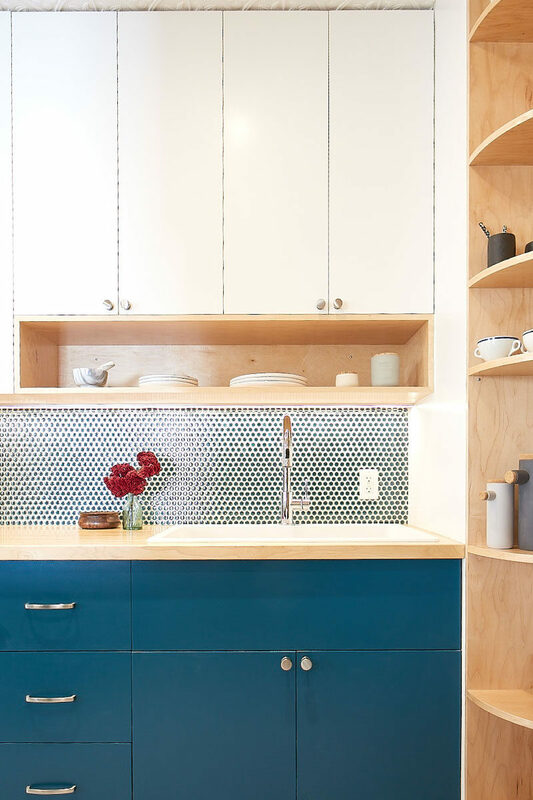 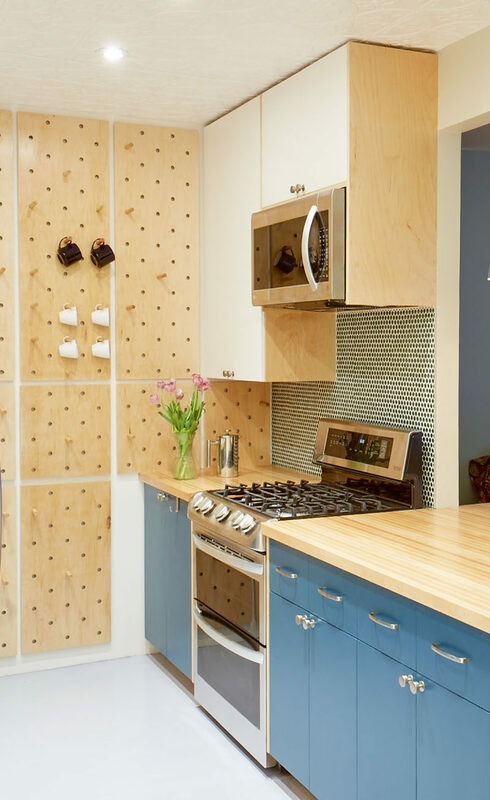 Instead of having a plain wall at the end of the kitchen, they installed a collection of wood pegboard sections, that allows for extra storage and keeps everything within arms reach. 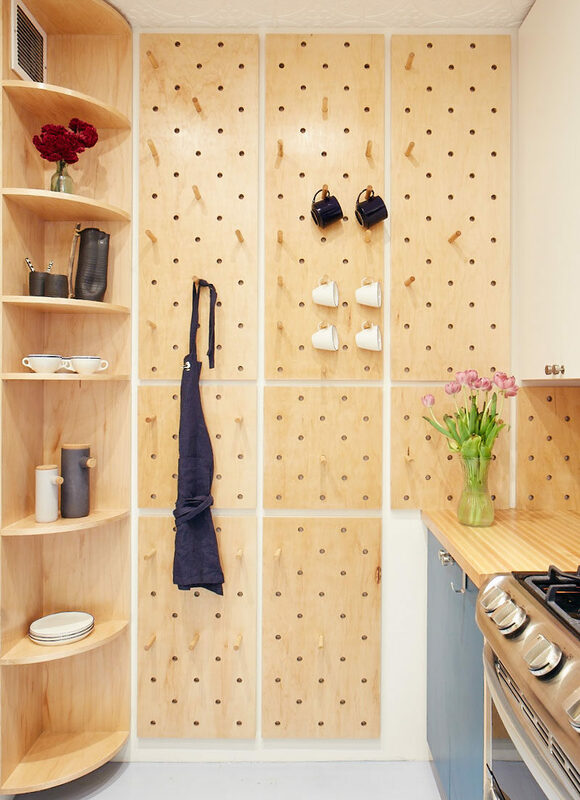 Other open storage, including cubbies for frequently-used kitchen tools and spices, and a tall corner bookshelf, further increases the functionality of the space.